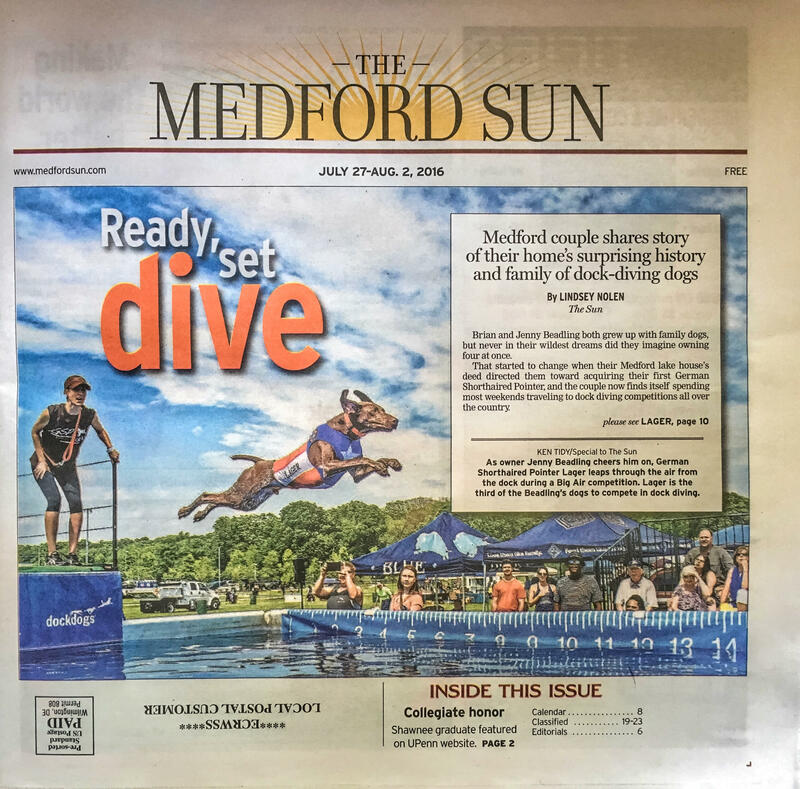 Last year, the Medford Sun newspaper did a story on Cello and Hooch (Click HERE to see the story). 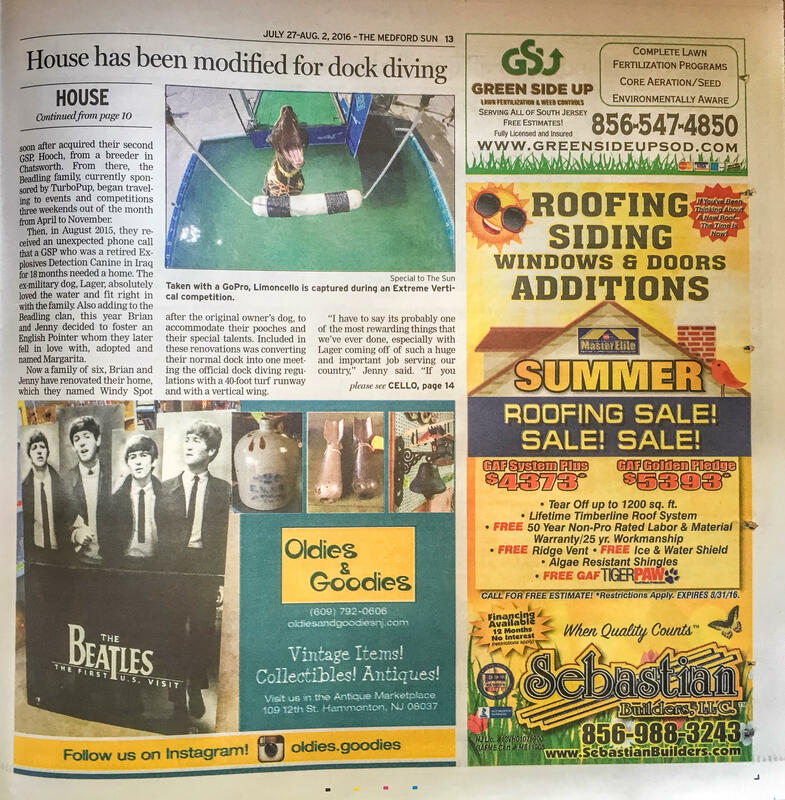 This summer, they did another article on the pups! 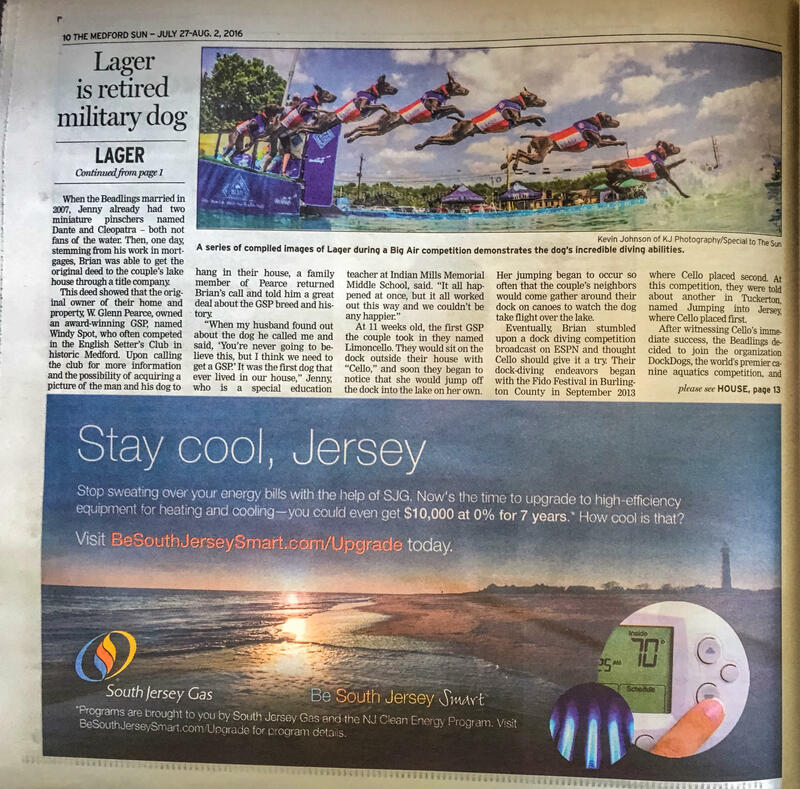 Click HERE to see the online version! Barn Hunt…I Smell a Rat! Barn Hunt? … I Smell a Rat! As we are trying to acclimate Margarita to the water, we began to discover her focus was on chipmunks running in our yard, rather than learning how to swim. After seeing a few of Margarita’s chipmunk-hunting videos, a few dock diving friends, as well as some of our Instagram and Facebook followers suggested that we try Barn Hunt with Rita. Until that point, I had never heard of this sport! So I decided to research what it was all about, and how to get Margarita involved. 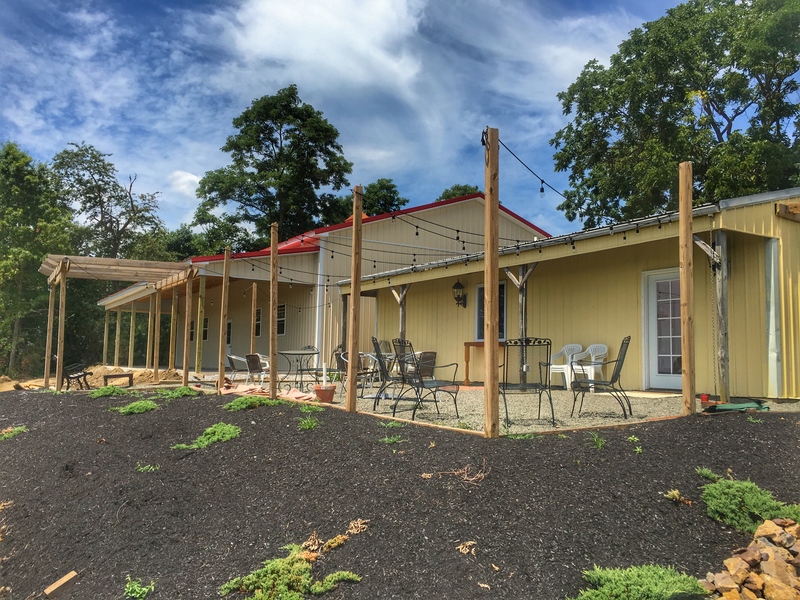 So What is Barn Hunt, Anyway? 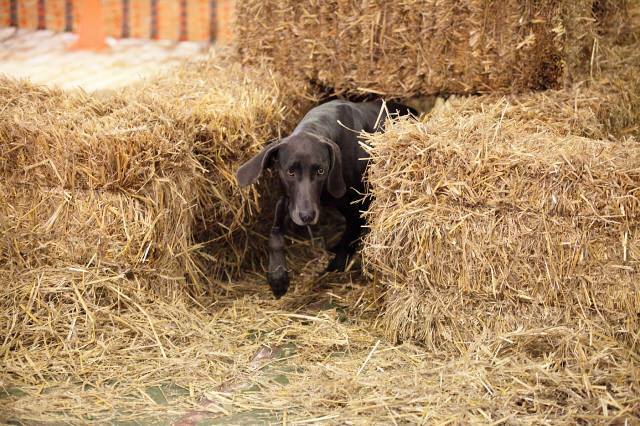 Barn Hunt is a timed event that tests your dog’s hunting and marking ability in a barn-like setting, around bales of hay. Climbing and tunneling skills are also incorporated, as is your ability to work as a team with your pup. An important skill of the handler is the ability to identify when your dog is marking the find (rat). Some dogs signal by flicking their head, pointing, or pawing and barking at the found rat. Have no fear – the rats are never harmed. The dogs locate rats who are safely enclosed in aerated tubes that are built to be tough enough for dogs to be unable to crush or even get a tooth into. The tubes are also large enough for rats to be able to turn around, and they are kept on bedding so they are comfortable. The rats are people’s personal pets who are used to living and interacting with dogs. The rats often spend their time grooming themselves, or even sleeping in the tubes. Rat care and safety is of great importance to the sport. Rat care guidelines were developed with assistance from well-qualified sources who have spent decades studying, housing, and caring for rats. There are certain dogs, such as Jack Russell Terriers and Cairn Terriers, that were initially bred to go underground to pull prey from their dens. 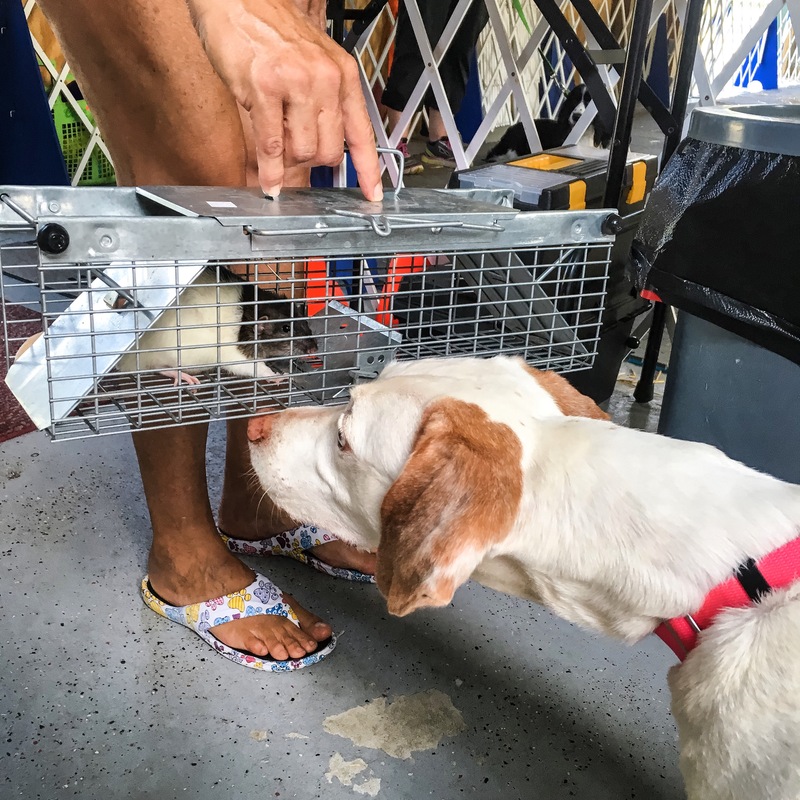 Wild rats were found to spread diseases such as leptospirosis, and often ruined homes and crops, so other breeds, such as Rat Terriers and Miniature Pinschers, were bred for above ground pest elimination. These rat catching dogs would be taken to farms and to fid the area of the rats. These dogs were also used in World War I to help control the rats in the trenches, since they posed angers to the troops. Even more breeds such as Australian Shepherds and Border Collies handle rodent removal as part of their job around the farm. Barn Hunt evolved into a sport because of one dog – a Miniature Pinscher named Zipper. I was thrilled to read this, as Brian and I had two Miniature Pinschers, Dante and Cleopatra, who we love and miss dearly. Zipper’s owner, Robin Nuttall, was very curious about what the Min Pin was bred for. In her search, she discovered that Min Pins were bred to hunt mice and rats in their owner’s home. But at that time, Min Pins were not accepted into AKC Earthdog competitions, which are restricted by breed, and created to offer breeders and owners of small terriers a systematic guide to measure their dogs’ natural talent as well as their instinctive hunting and working behaviors when presented with an underground hunting condition. 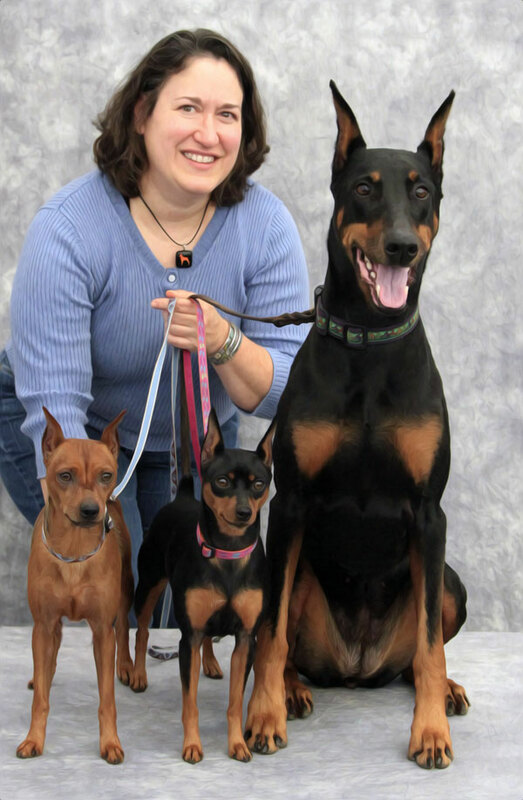 Zipper displayed great interest and ability in what he was bred to do, so Robin started working on trying to get the Miniature Pinscher breed accepted in to the AKC Earthdog competitions. However, she ran into some issues. 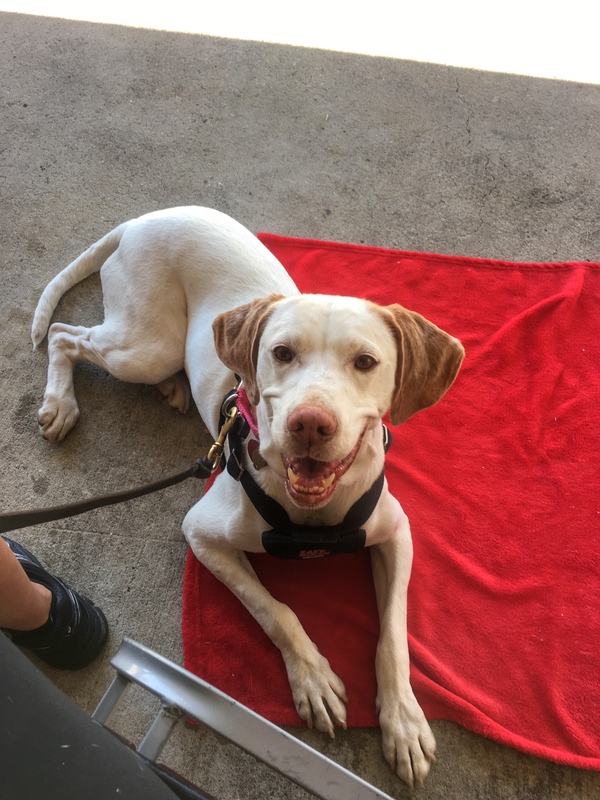 Robin knew that there were informal Barn Hunt-type fun events happening at some of the Earthdog events, but those were mostly open to only Earthdog breeds, were rare, and difficult to find. Robin decided to write a set of rules for a national, titling, progressive sport. And though the sport was originally created for the real work of vermin hunting breeds, the sport now welcomes any and all dogs of any size, breed, or mix who can fit through an 18 inch-wide bale-height tunnel. As of September 1, 2014, Min Pins are now allowed in AKC Earthdog events! However, If Min Pins had been accepted in Earthdog when Robin got her beloved Min Pin, Zipper, Barn Hunt would not exist as a sport!! 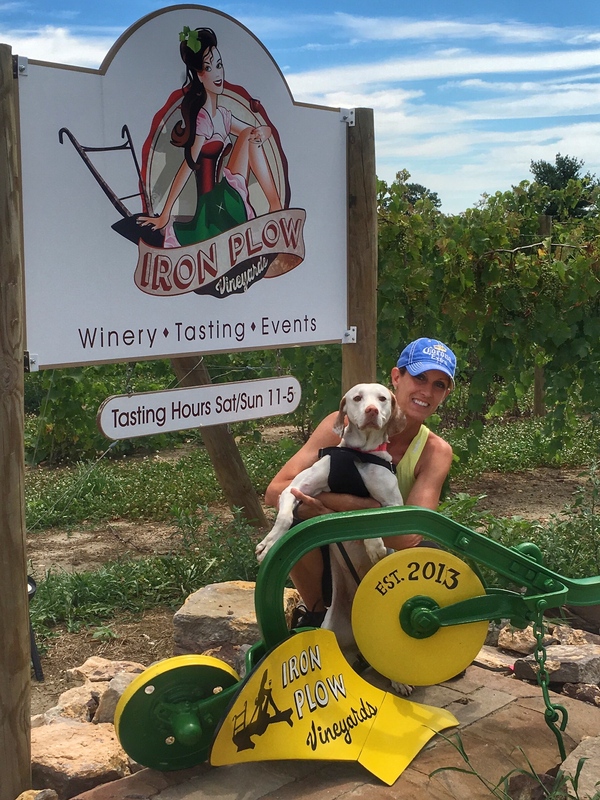 Today some consider Barn Hunt to be the fastest growing dog sport in the United States. 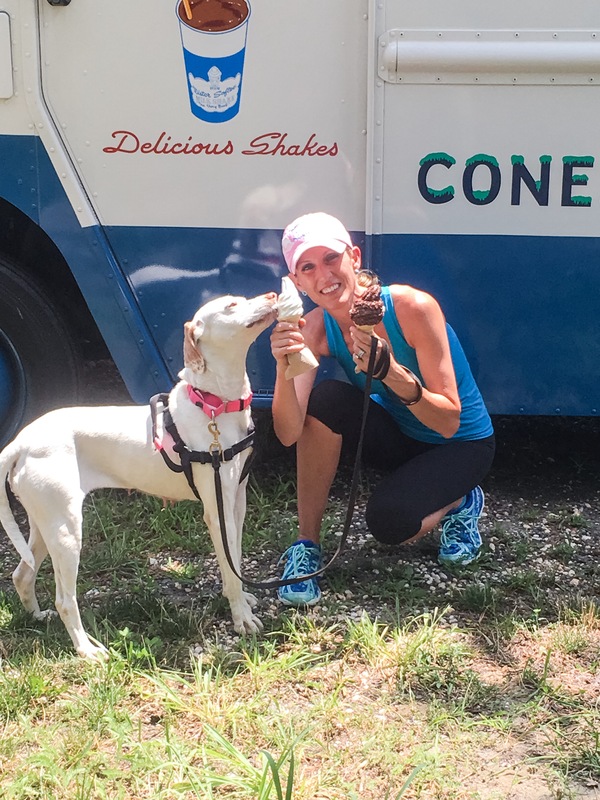 The popularity of the sport has escalated with dogs and their humans having so much fun. 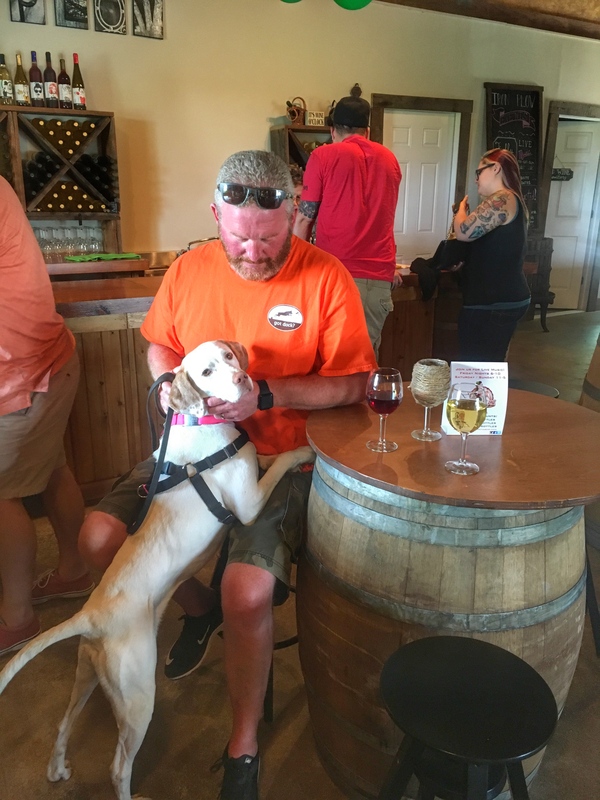 Barn Hunt encourages everyone from seasoned dog sport competitors to people who have never even been to a dog show before to take part in this great sport. Barn Hunt titles are also now recognized by both the AKC and UKC. 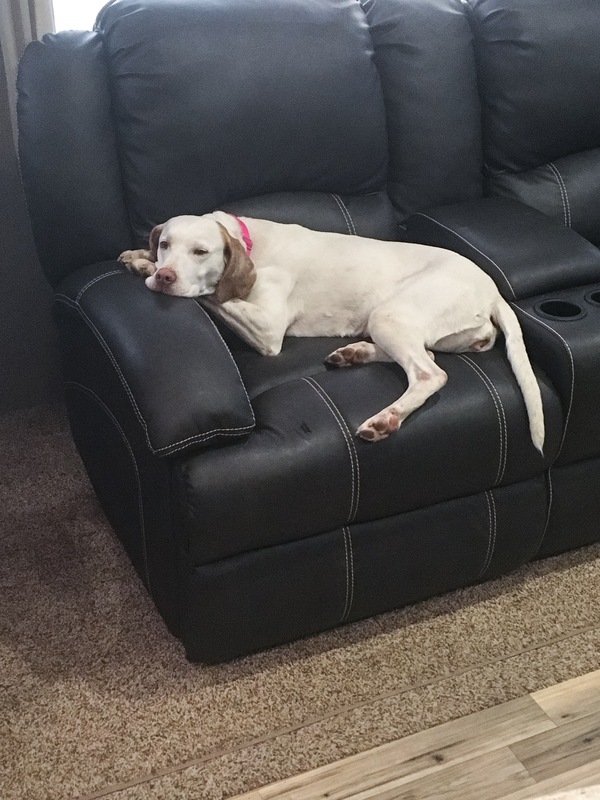 Be sure to visit the Barn Hunt Association to read the official rules for both competitors and spectators , and to register your dog. You can also find workshops, fun tests, and trials near you by using their events calendar. If your dog enjoys investigating and sniffing around your home, they would most likely like to barn Hunt! You are your pup will start off with an Instinct Test. The beginning level is the Rat Instinct Class (RATI). One passing leg is required to obtain a title. 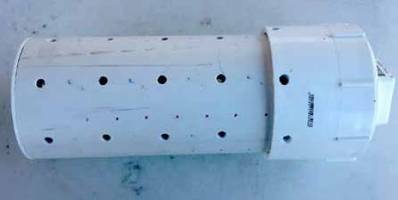 There are three tubes placed in plain sight on the course, one dry, one with bedding from the rat’s cage, and one with both bedding and a rat. 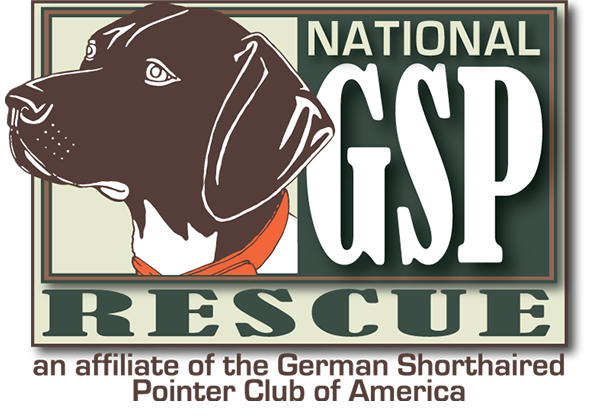 This is an optional class for dogs without an Instinct pass, and for dogs without a Novice title to use as a warm up. Time allowed is one minute and before time is called handler must have declared which tube has the rat based on the dog’s indication. 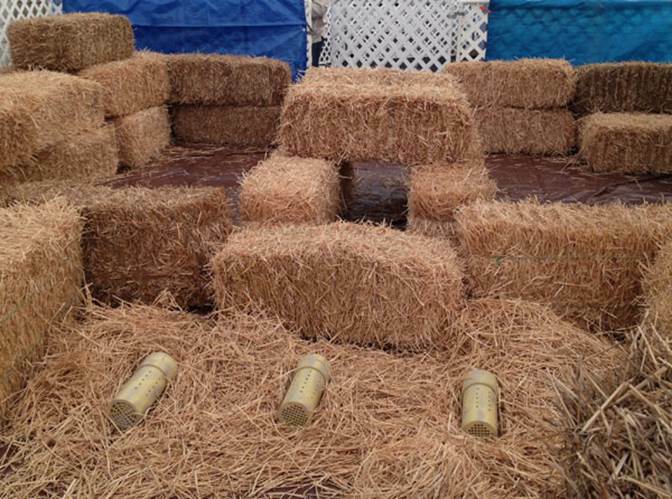 There is a tunnel on the course but the dog is not required to go through it or climb on the hay bales at this level. If your dog correctly identifies the canister with the rat, you and your pup are ready to try the Novice level. To earn the Novice Barn Hunt title (RATN), three qualifying legs are required. In this level there is a start box and the dog must leave the box ahead of the handler. Time starts when the dog exits the start box.This course has 3 hidden tubes – one empty, one with bedding, and one with a rat. These are tucked into the nooks and crannies between or on top of the bales and covered so they are not apparent to the handler. Completions of all elements – tunnel, climb, find the rat – within 2 minutes – is required to pass this course. Time stops when those three elements have been accomplished. The advanced titles are Open, Senior and Master. The Open Barn Hunt class requires 3 passes to earn the RATO title. This course layout is more complex and has 5 tubes – one empty, two with bedding, two with rats. ‘Climb’ and ‘tunnel’ are also required as well as finding the 2 ‘live’ rat tubes. Course time: Two minutes, 30 seconds. Senior Barn Hunt class requires 3 passes to earn the RATS title. The course contains 8 tubes – four with rats, three with soiled litter, one empty. Course time: Three minutes 30 seconds. Master Barn Hunt class requires 5 passes under at least 2 judges to earn the RATM title. There are 10 tubes – all contain soiled litter. One to five tubes will have rats. The handler declares to the judge when the dog has completed the search and indicated all rats on the course. Course time: 4 minutes, 30 seconds. 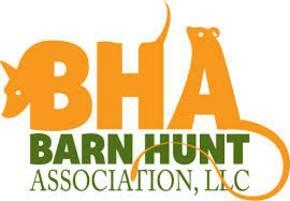 Visit Barn Hunt Association’s event page. Here, you will be able to choose a location to search, or view all events on a calendar. 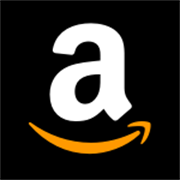 There is also a club listing where you will be able to find local clubs in your area. Also listed on the calendar are clinics on Barn Hunt. Taking Rita to a clinic was the first thing I did in order to learn about the rules, and to introduce Rita to hay bales and rats. 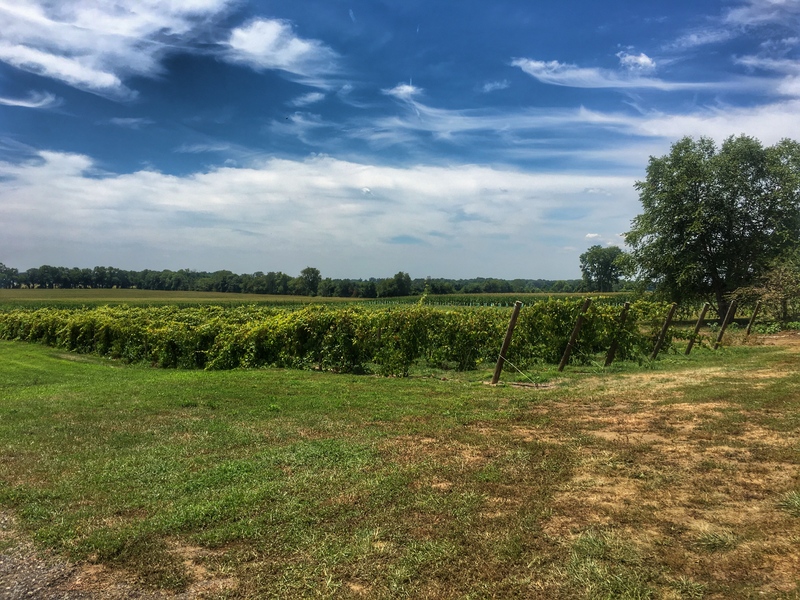 This was our first time at Iron Plow Vineyards. 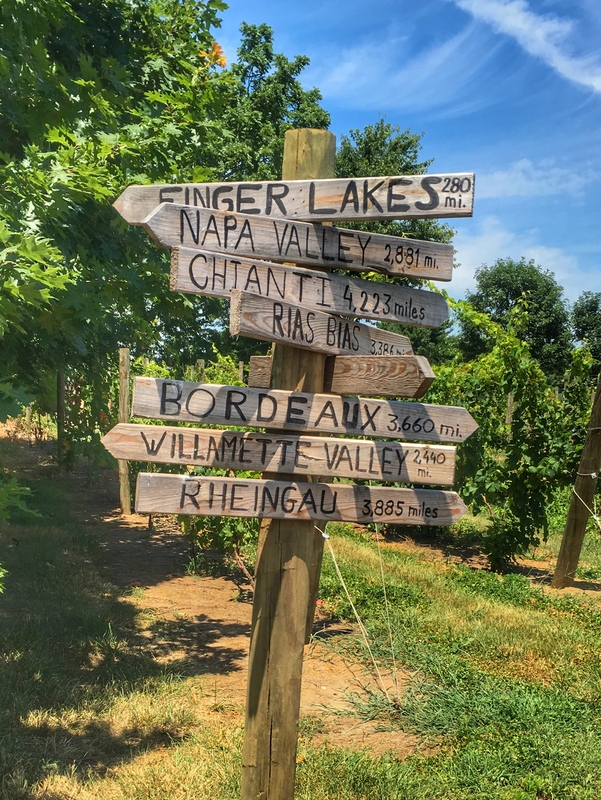 This is a newer winery to our area, and they have some really different tasting wines. 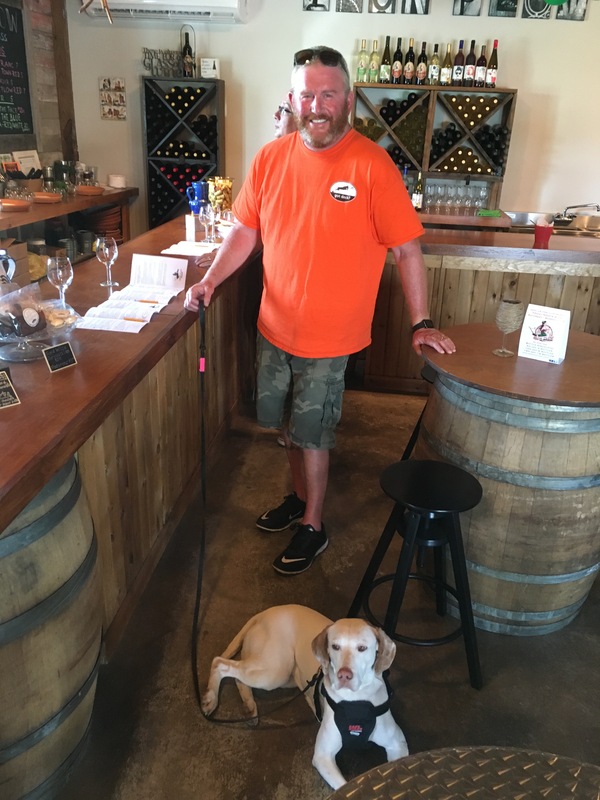 We enjoyed a wine tasting, then a glass of wine…and Rita enjoyed the air conditioning! 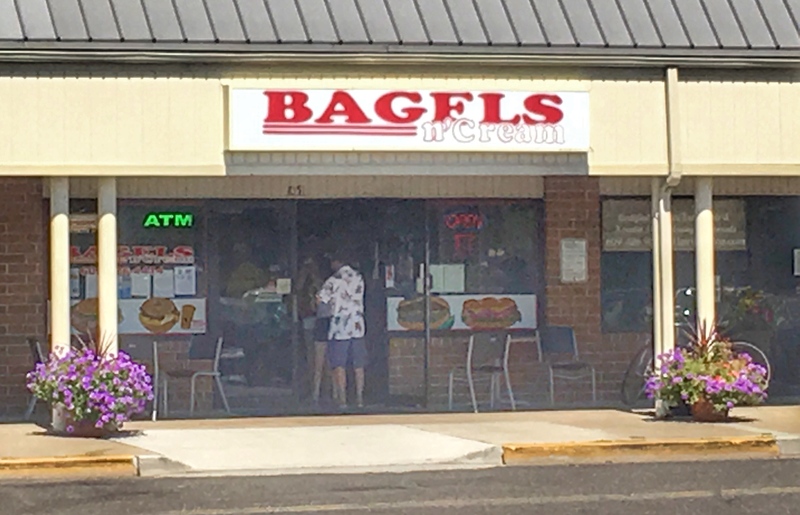 Rita enjoyed joining us for breakfast at Bagels and Cream! One of my favorite childhood memories was hearing the Mister Softee ice cream truck coming down the street. 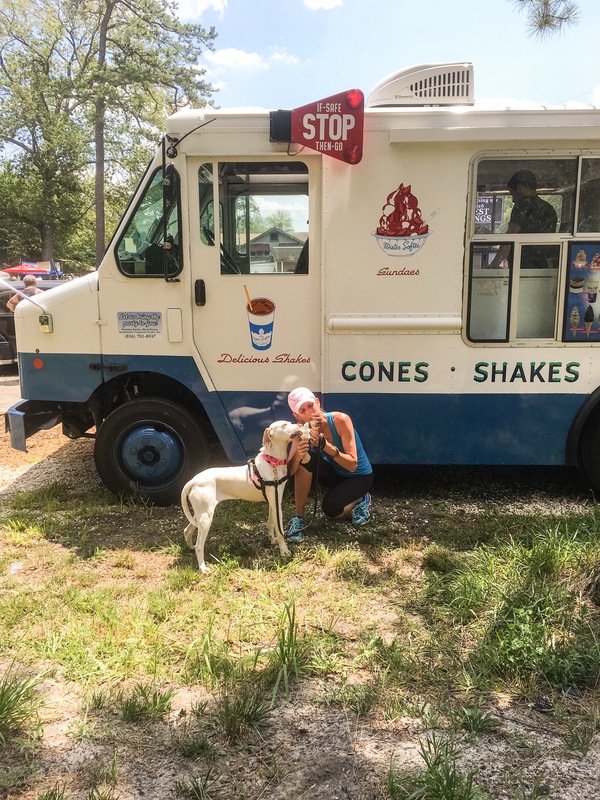 This weekend, Rita got to enjoy some vanilla custard with me from the Mister Softee truck! 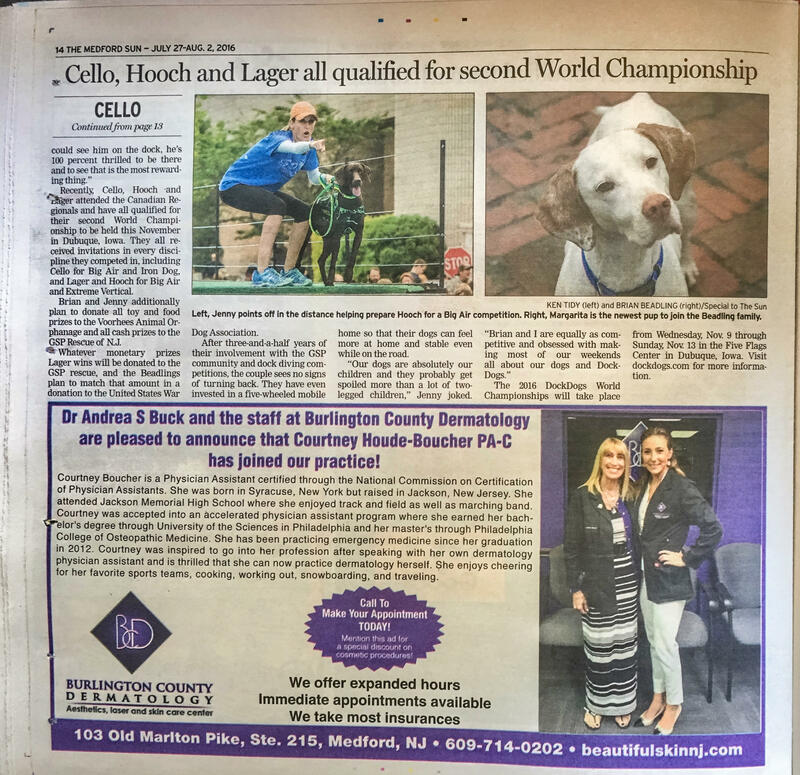 During our competition at the 2nd Annual Bark in the Park at Bay Creek, Lager and Hooch were on the news! Check out the video clip by clicking HERE! 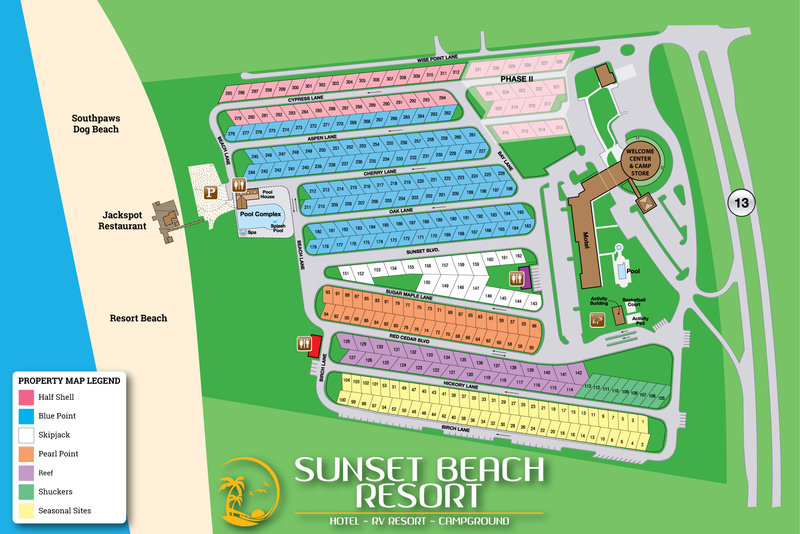 When we attended the 2nd Annual Bark in the Park dock diving event, we camped at Sunset Beach Resort. 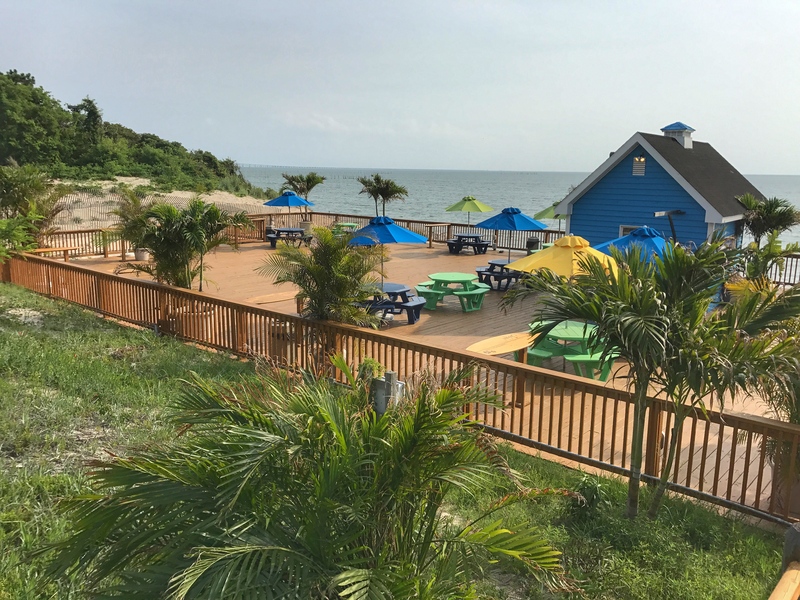 We had never camped here before – but were pleasantly surprised at the roomy camp sites, beach bar and restaurant, and pool. 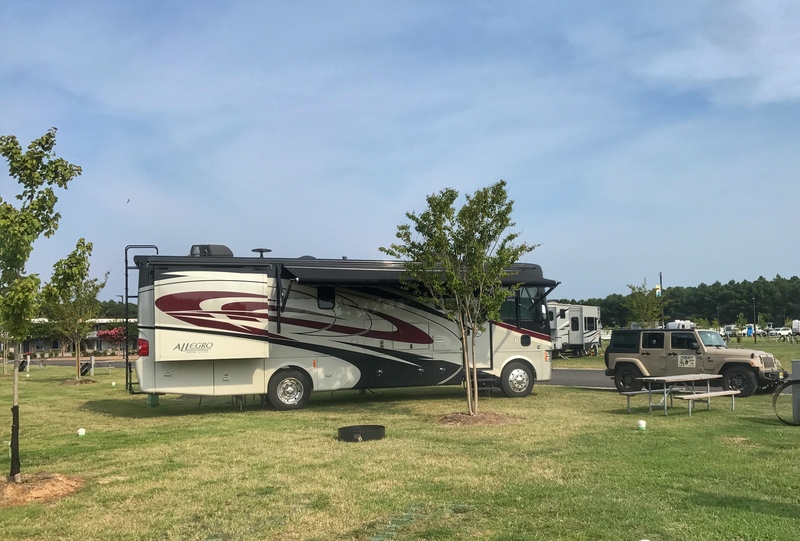 This campground even has a hotel on the grounds, AND even has a dog beach! 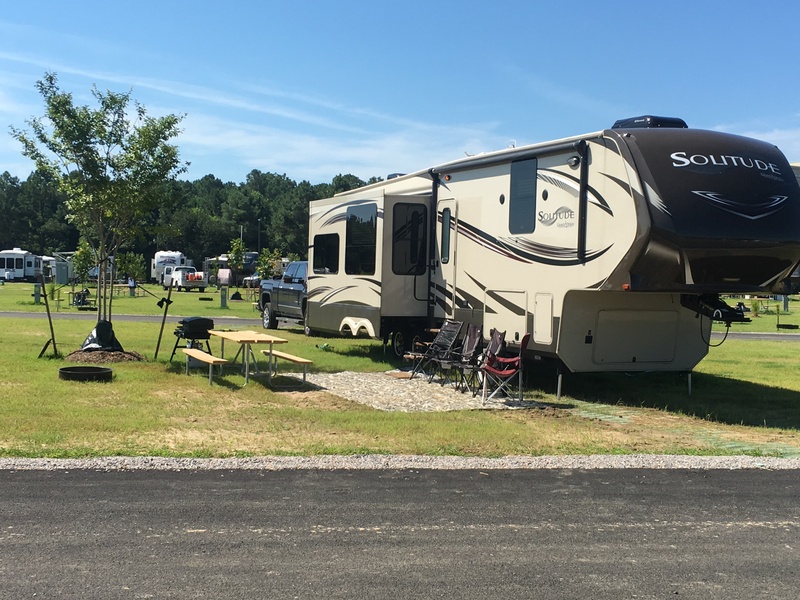 Rita enjoyed her Glamping adventure here!